This durable grocery bag measures 8" x 10" and features 4" gussets with 12" handles. Constructed out of a non-woven, gloss laminated polypropylene material that is easy to wipe clean while providing additional structure and strength. Designed to resist water, tears, and UV rays it includes a high-gloss finish for a fashion-forward style. Customize this bag with your company name and logo for a statement customers can get "carried" away with! 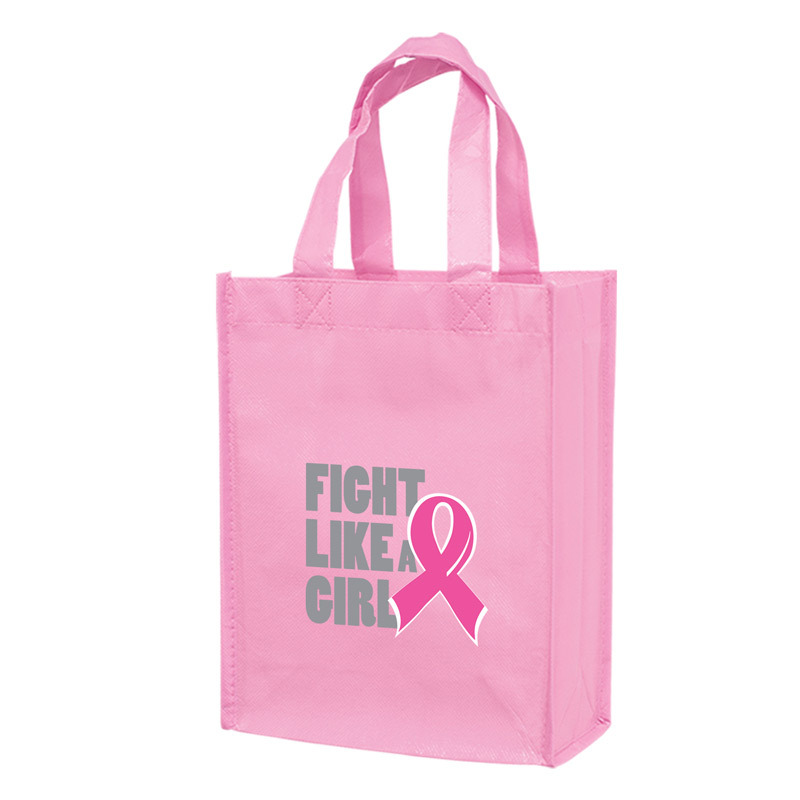 Great for Breast Cancer Awareness events. Non-woven polypropylene with gloss lamination - Recyclable # 5. Setup is per color per design / Run charge is each additional color per location (up to 3 spot colors). Call for Rush Service availability.